Tynemouth Priory: In Saxon times the seas were the country’s highways – religion, politics and trade all depended on the ocean. Accordingly, the North East boasts many fine religious edifices located on or near the coast. Tynemouth’s gaunt priory, one of the best remaining monastic ruins, presides grandly on a steep rock overlooking the mouth of the Tyne. 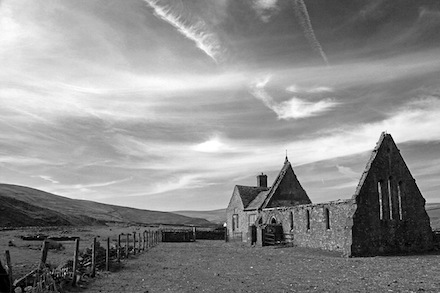 The abandoned church of St James: Not all ruined churches are monastic – the North East has a handful of small churches that have been abandoned at some point in the past and whose ruins, often hard to find, add their own distinctive accent to the landscape. The Victorian church of St James at Harwood-in-Teesdale is located on a remote spot 1,500 feet above sea level, half a mile from the Tees. Sheep gather inside for shelter from the winds that rip down from Cross Fell into the valleys below. 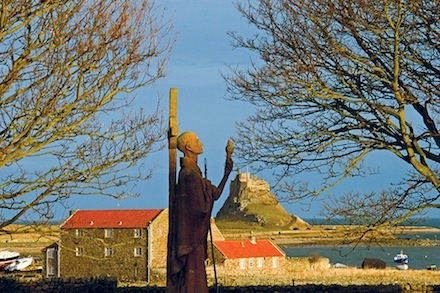 St Aidan (1958) by Kathleen Parbury on Lindisfarne: Kathleen Parbury’s modern sculpture honours one of the ‘canon’ of seven holy men and women who wrought the Christianisation of Northumbria and shaped the sacred geography of the region. 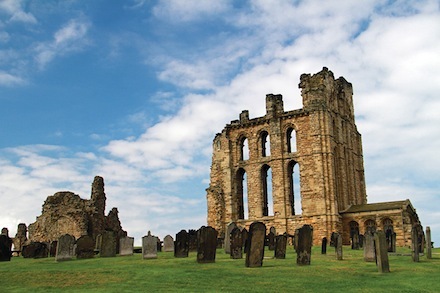 Aidan, protégé of the martyred King Oswald, founded the monastery on the Holy Island of Lindisfarne – one of the most numinous places in England – and preached the gospel to the whole of Northumbria. 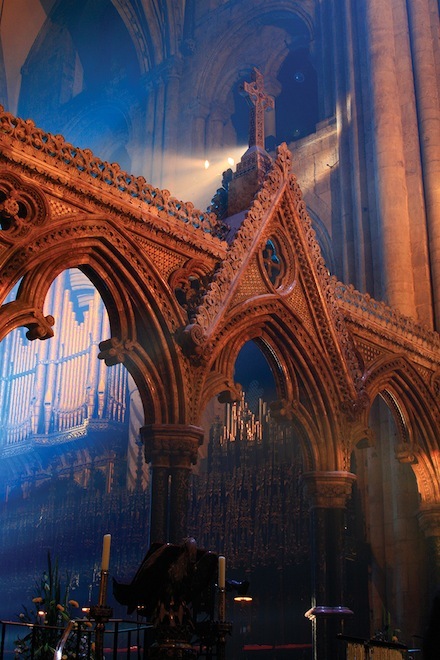 The Scott Screen: The present-day quire screen of Durham Cathedral forms part of a valuable ensemble of work by the Victorian architect George Gilbert Scott. It replaced earlier screens that had once separated the nave from the monastic quire which was set apart for the celebration of the eightfold daily office by the Benedictine community. 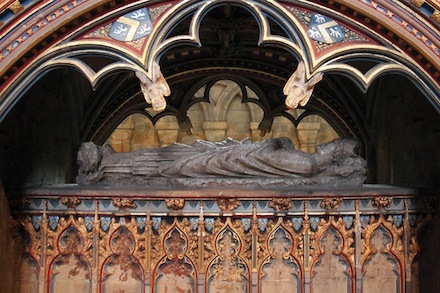 Bishop Hatfield’s Tomb: On the south side of the quire of Durham Cathedral is Bishop Thomas Hatfield’s tomb, contained by his enormous episcopal throne. The tomb testifies to the hubris of the Counts Palatine at the apex of their powers. 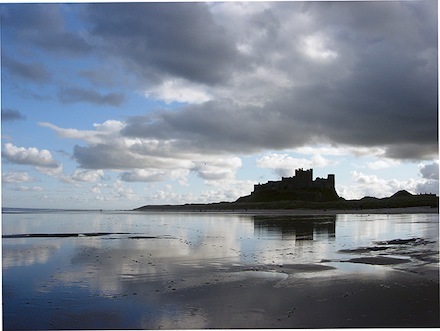 Bamburgh Castle: In Saxon Northumbria all roads led to Lindisfarne and to Bamburgh, seat of the royal house. Bamburgh stands at the apex of an important maritime triangle whose sides mark the lines of three significant sea journeys. These connected the Saxon capital where Oswald established his court with the offshore islands that were the foci of its spiritual mission: Lindisfarne to the north and the Inner Farne to the south. 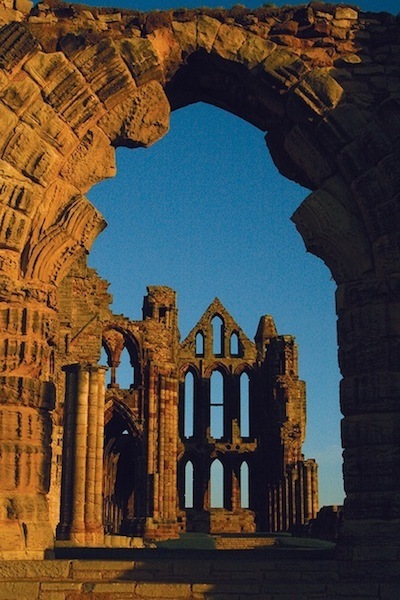 Whitby Abbey: Hild’s monastery at Whitby was the scene of one of the key moments in early English Christian history. Since the arrival in Kent of Augustine, Pope Gregory’s emissary, in 597 the Irish form of Christianity introduced in the early seventh century by missionaries such as Aidan had been challenged by the influence of Rome. In 664 the Northumbrian king Oswiu attempted to reconcile the differences between the two forms of Christianity by summoning a synod at Whitby. After hearing the case presented by representatives of each side the king decreed that closer links should be forged with the continent.